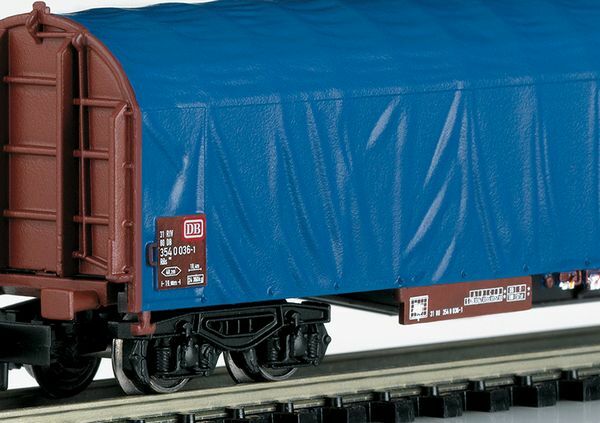 Prototype: 1 type Tamns 893 freight car with a rolling roof, 1 type Eanos-x 052 gondola loaded with wood, and 1 type Rils 652 sliding tarp car, all painted and lettered for the German Federal Railroad (DB). The cars look as they did around 1989. 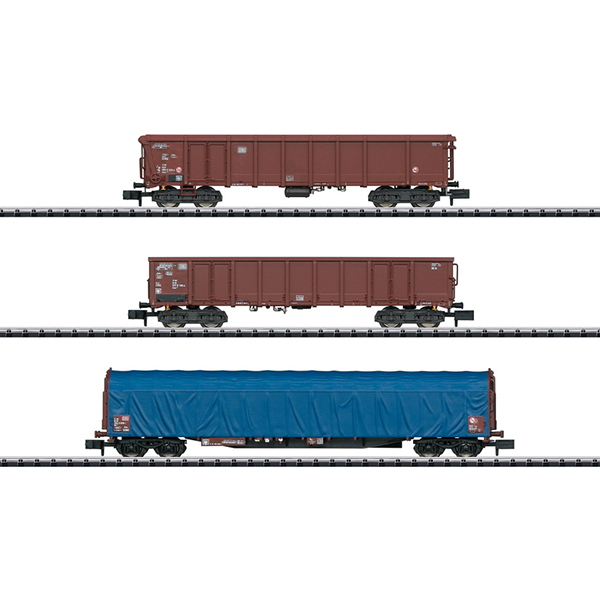 Model: All of the cars have a close coupler mechanism. The car frames and bodies have separately applied details specific to the types. The gondola has a load of "wood". All of the cars are separately packaged. Total length over the buffers 320 mm / 12-5/8".